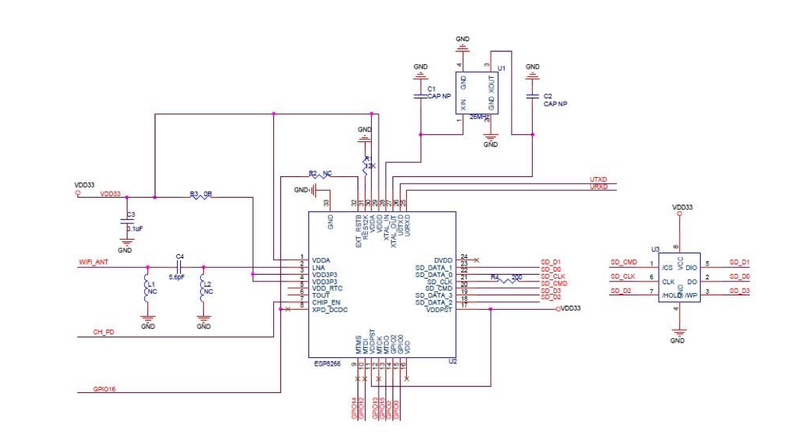 As I said on the previous post, one device that captured my attention is the ESP8266EX chip that is an wireless SoC and it has GPIO, I2C, ADC (0..1V), SPI, PWM. It runs at 80MHz and has 32KBytes of instruction RAM, 96KBytes of data RAM and 64KBytes boot ROM. It has a RISC architecture and the core is a 106micro Diamond Standard core (LX3) made by Tensilica and is produced by Espressif. The chip from the above picture is the old version. 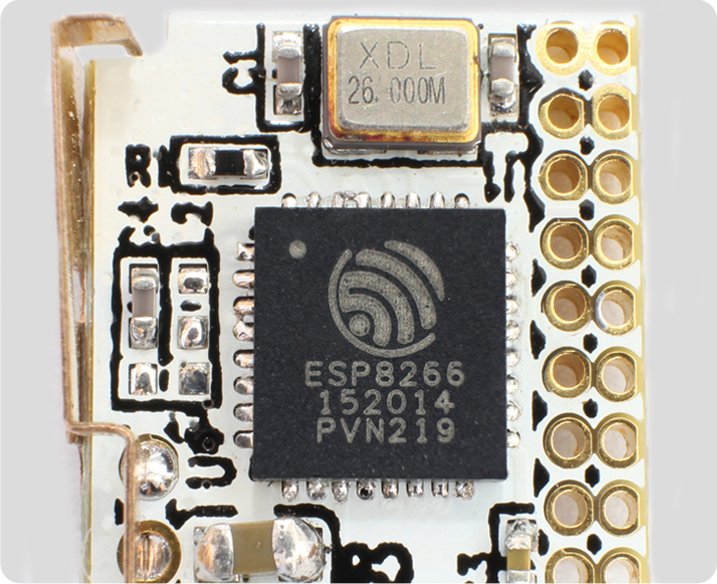 The new one is ESP8266EX that is now on all boards that I've seen for sales.